Police Prep Canada: Want To Be A CBSA Officer? When you decide you want to become a Canada Border Services Agency (CBSA) officer, you should first know that this agency has a wide range of responsibilities. These include but are not limited to enforcing laws, facilitating trade entering Canada, securing the borders and assisting those who are visiting Canada. This means that in order to be a CBSA officer, you have to a highly skilled and professional individual. If you are someone who has toyed with the idea in the past, you may be wondering if you have what it takes. Our advice? Becoming a CBSA officer can lead you to have a fulfilling and exciting career, so if you are interested in it, make it happen. Below you can find out more information regarding what you need to do if you are wanting to pursue this as your career. Additionally, it is important to know that all costs associated with these tests and the process and general will be your responsibility. Another very important aspect of becoming a CBSA officer is that you must be willing to relocate should you be asked to. This is often a deal breaker for some people and yet, it is appealing to others. Upon passing your exam, you could be posted in an extremely remote area of the country, or you could end up in a highly populated city. There is simply no way to know beforehand. You will, of course, be able to request certain locations but your preference is not guaranteed. If you are single this may not seem like a big risk. However, if you have a family, you may want to consider how relocation would affect them. One more consideration would be that you have to be extremely familiar with the CBSA mission, vision, as well as their code of conduct. This is important because every single employee of the CBSA, even those who are only in training, has to adhere to this code and policy if they wish to remain employed. Even the smallest breach of policy will be addressed sternly. This could result in basic discipline, release from a training program, termination or even legal action. What Happens If You Get Accepted? If you apply to CBSA and you find that you find that you have been accepted, you will still have to complete a number of steps before you can become a border services officer. You must first pass the standardized tests, interviews, and medical and psychological test. Additionally, you will have to complete the CBSA’s Physical Abilities Requirement Evaluation in 4 minutes and 45 seconds or less. Additionally, you have to obtain and maintain a secret security clearance, complete the Officer Induction Training Program and the Officer Induction Development Program as an officer trainee. Once you have done all of the aforementioned things, you will then be eligible to be appointed as a CBSA officer. Ready To Start Test Prep? If you are still sure that you want to be a border services officer and are ready to get the process started, Test Ready Pro can help! 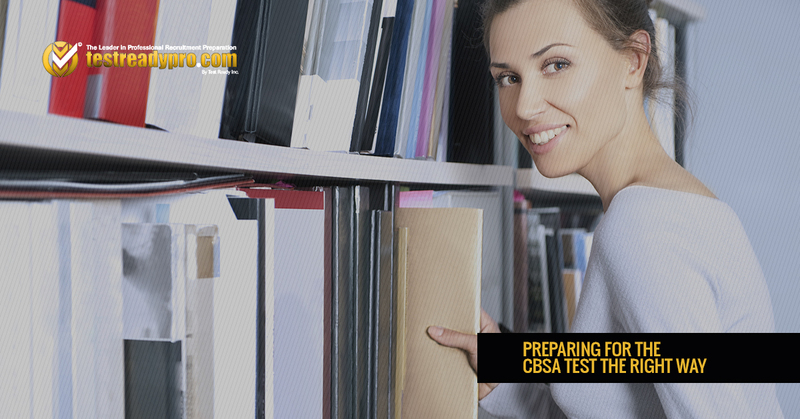 Check out our resources today and or contact and to ask any questions you may have about our CBSA officer test prep materials. We are here to help you and others make their dreams come true. Start working towards your perfect career right now.